Designs on fortune, fame? Incisal Edge contest awaits. Dentists, dental students, architects and interior designers might be a few photos away from winning a $1,000 prize in the 2nd annual Incisal Edge Design Awards sponsored by Clarion Financial. 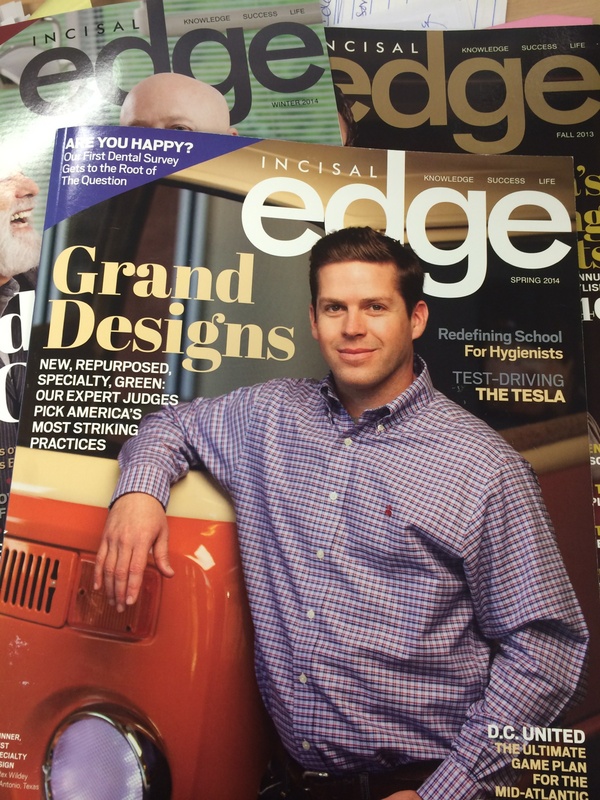 Dr. Rex Wildey graced the cover of Incisal Edge in 2014 as the Winner, Best Specialty Design for his office – Wildey Pediatric Dentistry – in San Antonio Texas. recognition for those who colored outside the lines when building their dental practice. Nominations will be accepted and winners awarded $1,000 prizes in each of the contest’s four original categories: new construction, repurposed practice, eco-friendly practice and specialty practice. New for 2015: Clarion Financial is sponsoring an additional $1,000 prize in a fifth category: Design of the Future. The category aims to foster imagination among contest participants to envision and create a workplace for the patients and practitioners of tomorrow. Improvement, innovation and inspiration – the sky is the limit. A juried panel from the dental and architectural worlds will select America’s most striking practices. Entries will be accepted through September 5, 2014 in all categories. Prior to final awards, three semifinalists selected by judges in the Design of the Future category will be paired with a team of design professionals who will help give visual life to their ideas.